Today is a big day in the lives of our Caleb and Haley. Caleb graduated from Moody Bible Institute this week, finishing his Bachelor of Arts degree in Biblical studies. He was able to finish his degree in three and a half years, while newly married and working three jobs to support he and Haley. What a huge life accomplishment. But because of that completion, today he and Haley are trading life in Chicago for life in Colorado. I just received a text from Haley saying they'd stopped for coffee one last time at Intelligentsia where Tyler works in Logan Square, saying their final goodbye to him, and that they were now on the road. And so an era of our Patty family closes. They're headed to Iowa today to meet up with her grandparents (who were just in Chicago to pack up a trailer full of their things) and they'll all drive to Colorado tomorrow where they'll spend Christmas with Haley's family (flying in from Slovakia, Seattle and Florida! ), and then begin their new season of life. Having all our children in Chicago these past six years, ever since Tyler left home for college, has been a joy and privilege as it's meant we've seen them all together there many, many times since we pass through often because our JV offices are nearby. But more importantly, THEY have been together, doing life and building deep friendship with each other as adult siblings and spouses. It's brought an immense, almost unspeakable joy, to watch the five of them bond, spending time together because they want to, not because someone forced them to! How that has touched me as their mom, watching them move into their adult lives with each other as their closest friends and supporters. However, that era of life, of the daily ins and outs together, has come to a close and a new one begins as Caleb and Haley make their way to Colorado to a new home and new jobs. 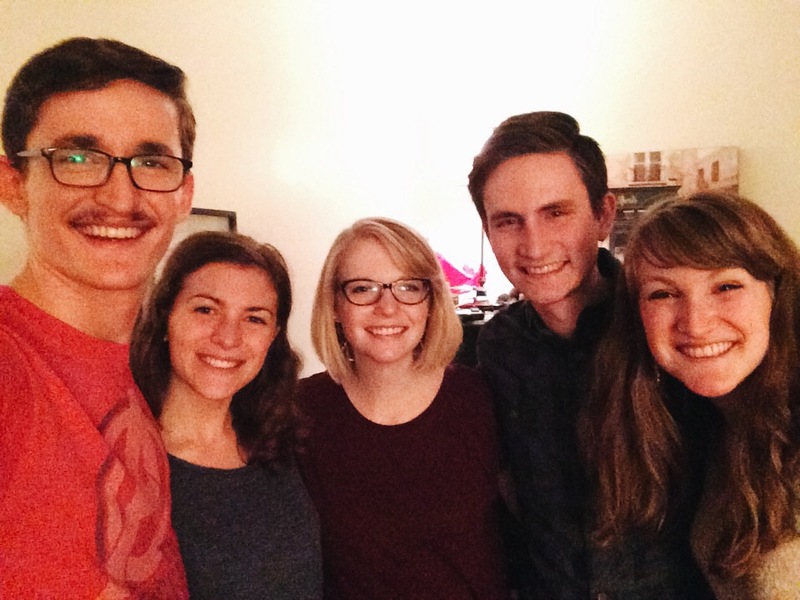 While they'd like to be on the mission field someday, right now they want to establish themselves in a church and community to live and work for this next season. And we all think that's a very wise move on their part. They will be job hunting as soon as the holidays are over. My prayers are with them today as they make the six and a half hour drive to Iowa, and then drive another twelve hours to Colorado tomorrow, and for all the adventures of life ahead of them. My prayers are also with Tyler, Lara and Judah who remain in the Chicago area as Tyler finishes his Master's degree and they look ahead to what's next when he graduates December 2016. And my prayers are with Claire too as she just became a senior at Moody and also will graduate next December! But for now, she finishes packing and gets on a plane to come home for Christmas...TODAY! She'll fly in to Split, Croatia tomorrow and spend a few days with us here, then we'll drive home and be there for the rest of her break. Claire wrote a very poignant blog post about what this transition, of Caleb and Haley moving, is like from her perspective. You'll want to read it. It brought tears to this mama's eyes as it expresses her emotions, and much of my own heart about goodbyes and transitions as well. Don't miss it! It's HERE. 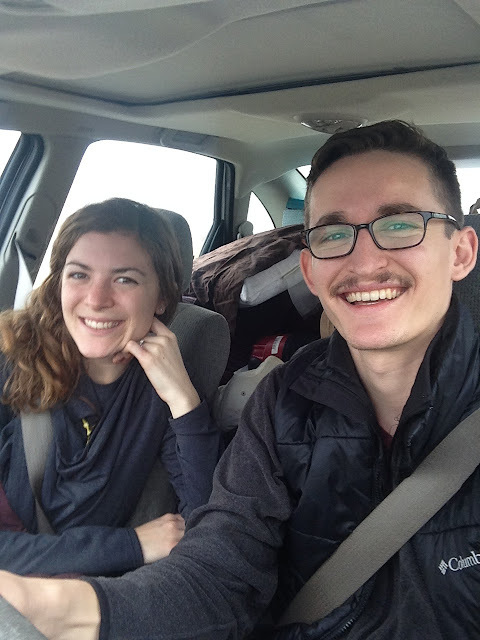 As I was in the middle of writing this blog post, Caleb and Haley called from I-90 headed west towards Iowa. Amazingly, our internet was stable enough for that call, for me to hear their hearts and thoughts as they make this life transition. So thankful for the ways God is already providing for them, and for their faith in Him as they walk into the unknown. 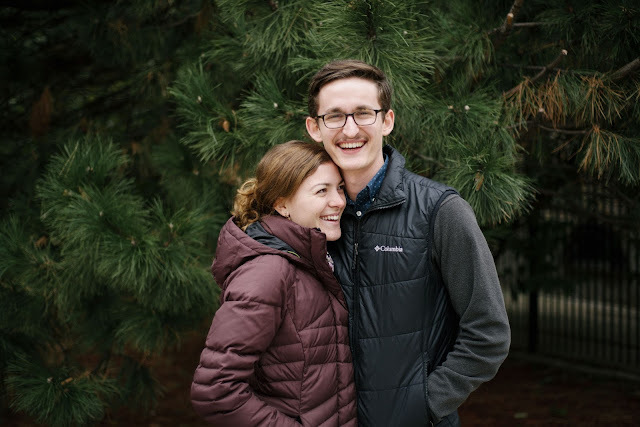 They have a tremendous adventure ahead of them, and I'm thrilled with them for all that they'll learn and gain in their lives as they seek God's will together in Colorado! In the car and on their way today to a new adventure!